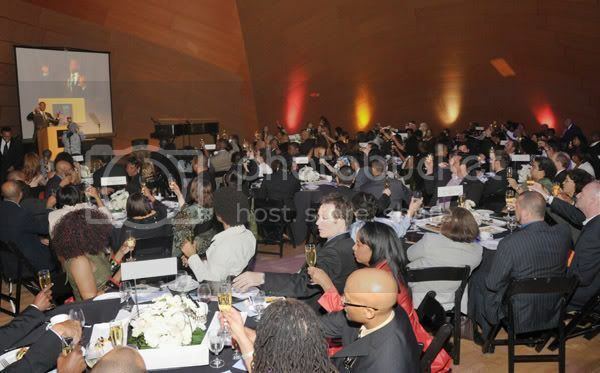 The 9th Annual Heroes In The Struggle Gala was held on February 4, 2009 at the Walt Disney Concert Hall in Los Angeles, in commemoration of National Black AIDS Awareness Month. 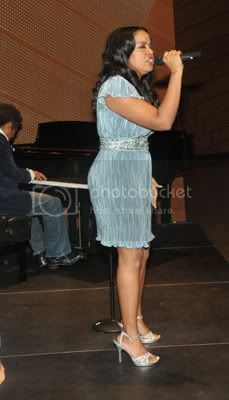 Hosted by the Black AIDS Institute, this year's theme was Black Men Honoring Black Women in the Struggle. 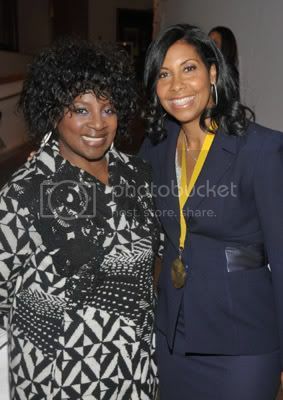 The gala honored pioneering women who have demonstrated incredible commitments to ending the AIDS pandemic in Black communities. 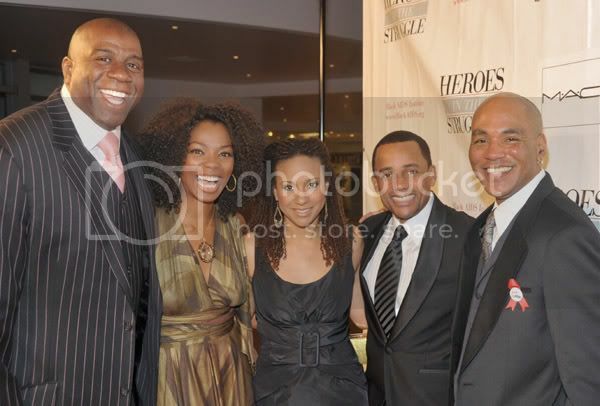 In the photo above: Entrepreneur and HIV/AIDS activist Earvin 'Magic' Johnson, actress Vanessa Williams, actress Tracie Thoms, host for the evening Hill Harper, and Phil Wilson, Executive Director of the Black AIDS Institute. 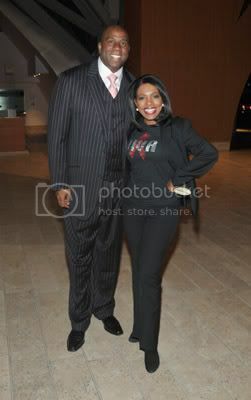 Magic Johnson and actress and HIV/AIDS activist Sheryl Lee Ralph; model Tomiko Fraser. 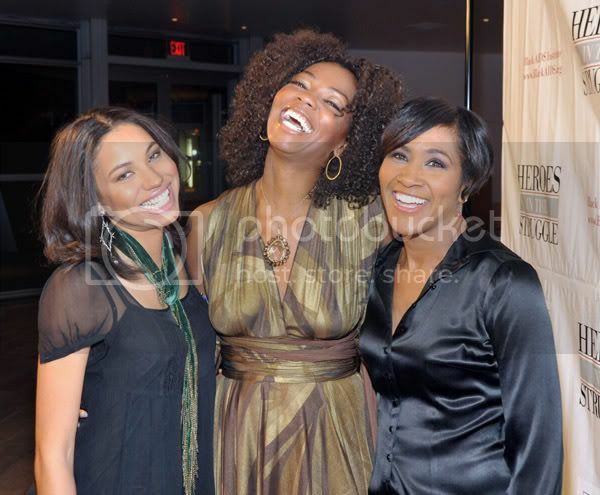 Visit Tomiko's website here to learn more about her Goddess Gatherings for women. 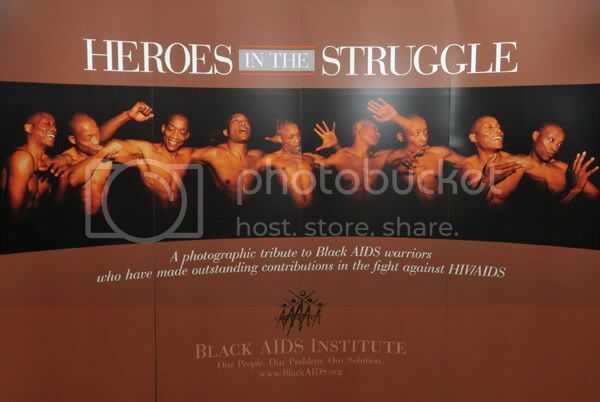 The Heroes in the Struggle traveling photo exhibit honors Black people who have made outstanding contributions in the fight against HIV/AIDS, and raises desperately needed funds to fight HIV/AIDS in Black communities.